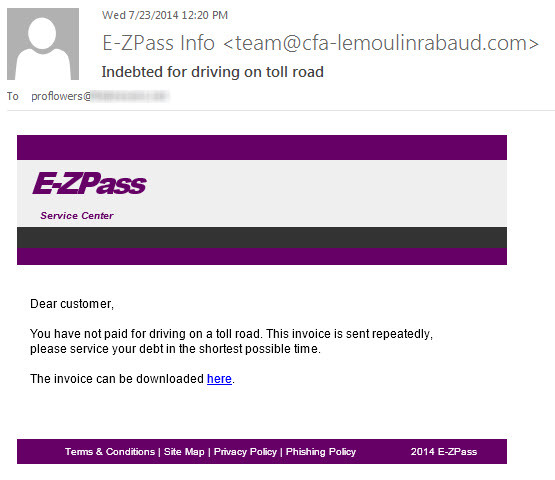 Below is yet another fake E-Zpass email. Note it is sent to my same proflowers email…telling me Proflowers sells their emails. Also worth noting, the “links” at the bottom of the email attempting to give the email some credit, are not actually links, just words.